Scandinavia's most expensive movie production delivers. The movie starts with a knight templar charging a group of arabian bandits. This head on start got me excited right from the beginning and I was set for a fantastic action movie featuring excellent swordsmanship and impressive battles. That was not what I got. 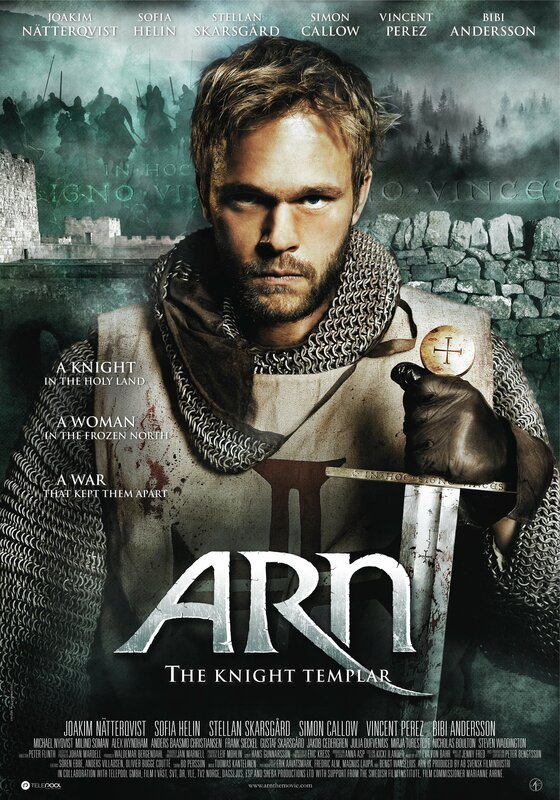 Instead the movie flashes back to the tale of how Arn became a knight templar and how he got to be where he is. Though not as violent and gory, the story his never the less exciting and does include quite some action. I was very well entertained. Joakim Nätterqvist playing Arn does an acceptable job, he does however sometimes overplay the silent knight-type which makes him seem retarded instead of thoughtful or insightful. Classic mistake and a task hard to master. I got a bit confused at first, when the movie suddenly switched from Swedish to English, but then it switched back and suddenly it made sense. That is really a nice touch. If you are not native scandinavian make sure to put on subtitles and maybe get a scandinavian to explain the complexity of our line(s) of kings here. Then everything will make a bit more sense. As this is scandinavia's most expensive movie your expectations should be set on high, and I do think that is shines through that they have put a lot of work into it. The money has not been spent on fancy effects and expensive CGI, but on the setting and and the scale of them. It is really impressive and lifelike. In general if you like movies about Scandinavia in the dark ages, about crusades, knights, templars etc. this is a very recommendable movie. Just remember that it is not about fighting in the Holy Land, it is about how the events in our lives can have a severe effect on us and the world around us.